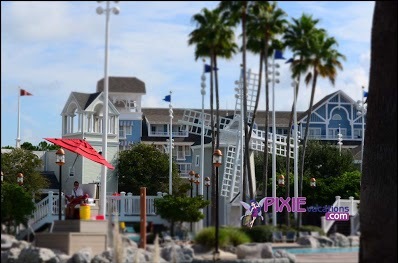 The Beach Club is modeled after the spectacular beach side resorts one would find lining the Atlantic coast. A grand resort with numerous perks and fa: ntastic ambiance. This deluxe category resort is certainly worth the price for those looking to add some class and relaxation to their trip. Guests have numerous choices for dining at The Beach Club Resort. 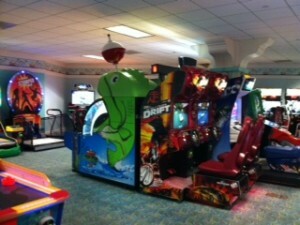 Check out Hurricane Hannas or the Beach Club Market Place for quick serve options such as sandwiches and pizza. Beaches and Cream is a sit down burger joint that also offers a walk up ice cream counter! Reservations are not excepted here and it does get crowded. I suggest arriving at the 11am opening to be seated without a wait. Here you can try the world famous Kitchen Sink, an ice cream sundae of enormous proportion! 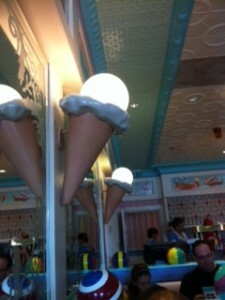 Check out the light fixtures at Beach and Cream! Martha’s Vinyard Lounge: Offers guests a limited menu and some lovely drink options. Room Service is also available to guests of the resort. At the Beach Club the biggest source of recreation is Stormalong Bay, the gigantic pool that is the centerpiece of the property. 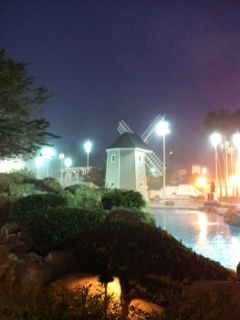 Guest enjoy the sand bottomed pool, lazy river, waterfalls, and ship mast slide that belong to this private swim park! Life vests are provided free of charge. Tubes can be rented pool side. You will need to show your resort room key to a cast member by the pool to gain a wrist band for entry. A quiet pool can also be found near the laundry facilities. 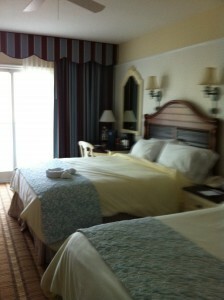 Guest can walk or take a ferry to Hollywood Studios and Epcot. Buses are available to Magic Kingdom, Animal Kingdom, Down Town Disney and The Water Parks. A lovey resort for the discriminating guest with much attention to detail. Beautiful and clean with top notch service. The location cannot be beat especially during the food and wine festival. 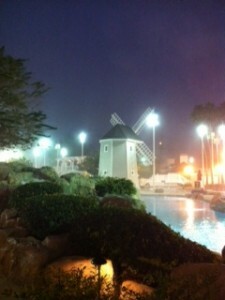 This entry was posted in Deluxe Resorts, Resort Spotlight, Uncategorized and tagged Beach Club, beaches and cream, cape may cafe, hurrican hannas, lafferty place, Stormalong bay, the kitchen sink, tube rental. Bookmark the permalink. ← Spring into Savings at Disney World!